YouTube’s just teased a new feature that could, just possibly, utterly transform YouTube from an essentially trivial video amusement park into a serious money-spinning business for creators of original video content. It’s basically creating a system that will let any YouTuber rent their movies to viewers on a pay-per-view basis, and it’s more or less self-service. 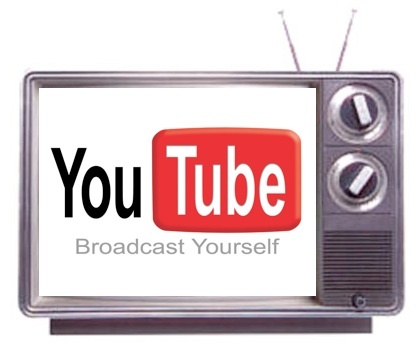 The nameless system is to be the third string in the monetizing bow for YouTube users, in addition to the current YouTube Partner Program and the Individual Video Parnership system. The intention with the new system is to really simplify the path users need to follow to upload clips to the site and try to make money from them as much as possible. Conscious of the fact that much of the more interesting, and possibly newsworthy, content on YouTube comes from man-on-the-spot cell phone cameras, YouTube’s even making it easier to upload this video footage too. If its terms are agreeable, and Google really succeeds in making the clip rental system both transparent and user-customizable, it could turn YouTube into a platform for folks to release all sorts of home-brewed video content. Of course the monetizable clips would have to obey the increasingly fearsome rules about fair use of copyrighted background music and any other people’s mixed-in footage, but Google‘s effectively enabling for-sale video clips to become a new little business phenomenon. And not only that but professional, or semi-professional, video content producers may even choose to use YouTube as a launch vehicle for their video wares, leveraging off its tremendous popularity (135 million clips viewed in March, in front of the eyeballs of three out of every four Web video viewers) and close tie-ins to Google’s search functionality. The side-effect implications are even bigger, though we can only guess at them for now: Imagine if a band had a pay-per-view music video (priced at some acceptably low figure, to entice users to click “pay”) or if a user had video footage of a breaking news event, and quickly uploaded it to YouTube under the new system, in an attempt to earn more cash than merely selling the clip to a more traditional news broadcaster like CNN.